Australia is a place for all types of travelers, from the adventure enthusiasts to the family vacationers and especially, for the nature lovers. For this blessed continent is a place where nature is struggling every day to win supremacy over humans and one cannot say that it is losing the battle. Australia is a little world in itself and in this world, Norfolk Island and National Park is a spot which deserves to be known better. Sadly, the small Norfolk Island suffered great damage since the moment when people decided that they wanted to live here: agriculture and house building destroyed much of the indigenous life forms. A national park and a botanic garden were established in order to protect what was left: 180 species of plants, of which 40 cannot be found anywhere else in the world, grow in this shelter. Norfolk Island is a unique place on Earth and, as many other beautiful places in Australia, it cannot be entirely known in a day long exploration. When going to Norfolk Island, one needs to take its time and discover all its secrets. Norfolk Island is located in the south-west Pacific Ocean, approximately 1,700 kilometres east of Sydney and 1,100 kilometres north-west of Auckland. Norfolk Island is serviced by regular flights from Australia (Sydney, Brisbane, Melbourne and Newcastle) and New Zealand (Auckland). 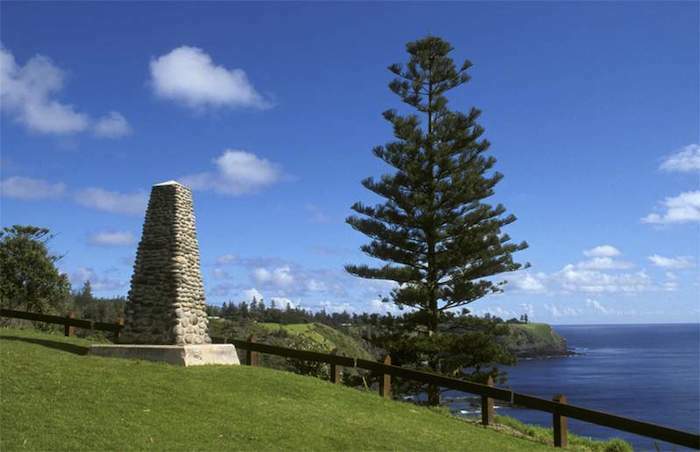 What Norfolk Island has to offer? What makes Norfolk Island so special is the fact that its flora and fauna developed here in isolation from the main land and thus there are many endemic species to this island which add diversity and charm to the breathtaking landscapes. Norfolk National Park attracts tourists all over the world each year with its unspoiled wilderness, with its incredible isolation and with memorable sightings. When reaching for the Norfolk National Park, one has to visit the Botanical Gardens, has to take long walks to the Northern Coast, where the views are superb and unforgettable, and to discover the species of which 7 are to be found nowhere else in the world. Also, the captain Cook Monument attracts many tourists each year, both due to the fame of this historic figure and to the location of the monument. 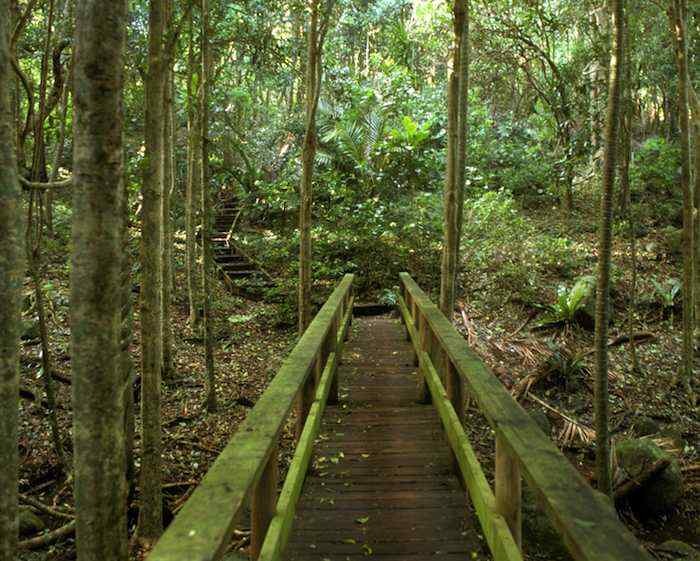 Walk beneath the tallest fern trees in the world, enjoy perfect picnic spots and try to be at Mt Pitt at sunset- you will never forget this trip! Meet the endangered bird species which found a refuge in the national Park: the Norfolk Island boobook owl, the Norfolk Island green parrot, the Norfolk Island golden whistler, and the Norfolk Island scarlet robin. Australia is an amazing land, a mysterious land of contrasts. Discovering it may take a life time, but one must always start from somewhere. Norfolk island, a charming corner of Australia, a place where nature tried to resist humans and succeeded, where one can lose himself in the lush vegetation, bursting with colour and life, is the best place to start. Guest post by LookTravelNetwork, a practical guide that offers information about train stations and airports as well as beautiful parks, greatest bridges, must see landmarks and fun guide for touristic destinations around the world. The facts are reliable, up-to-date and useful for any traveler. This entry was posted in national park, nature and tagged hiking, national park, nature. Bookmark the permalink.